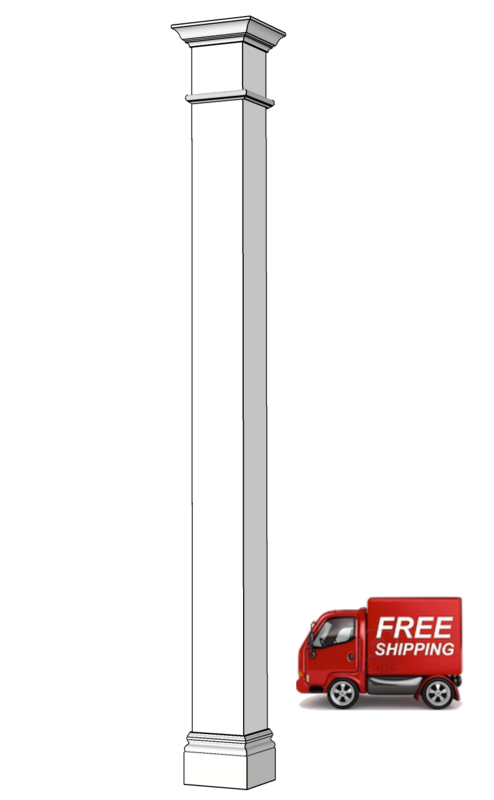 The 6" x 6" x 8ft column un-primed MDF shaft is shipped with 4-- 8 ft sides, unassembled so that it can be used to wrap a jack post, lolly post or an existing support. 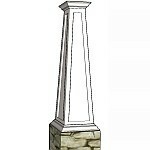 The shaft is made up of four sides that go together using lock miter joints for easy assembly.  We provide installation instructions, water-proof PVC installation cleats, screws, mounting hardware, glue, tape and the material pre-cut for the base and cap to be installed on site. 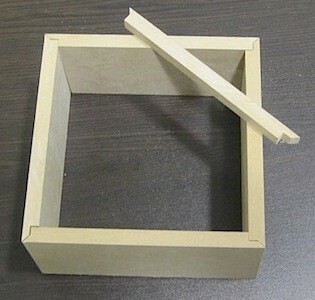 The outside shaft dimension is 6" square and the inside is 5" with the panels being 1/2" thick, MDF, un-primed. 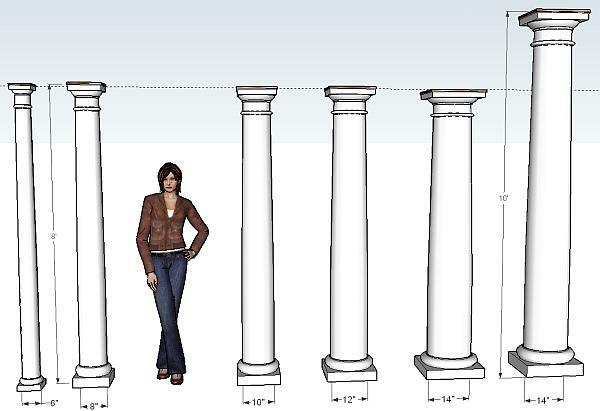 With the crown, the top of the column measures 9". The baseboard adds 1" thickness of the shaft making the footprint 7". The shaft length can easily be cut down to size on site. The pre-cut trims included are: 1 1/8" banding; 2 1/2" crown; and 1/2" thick x 5 1/4" baseboard. You may add shoe mould or your own style of baseboard if you choose to. 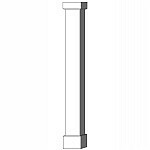 The 6" x 6" x 8ft column un-primed MDF shaft is shipped with 4-- 8 ft sides, unassembled so that it can be used to wrap a jack post, lolly post or an existing support. 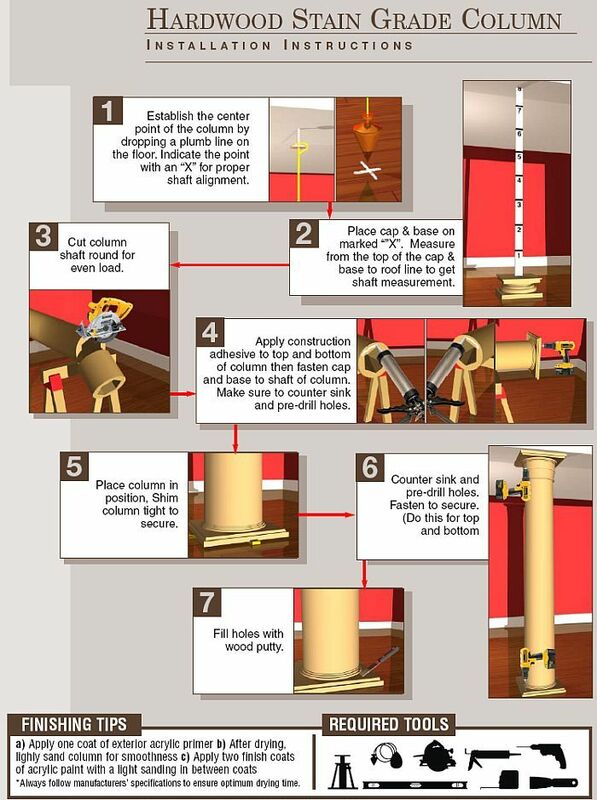 The shaft is made up of four sides that go together using lock miter joints for easy assembly. We provide installation instructions, water-proof PVC installation cleats, screws, mounting hardware, glue, tape and the material pre-cut for the base and cap to be installed on site. 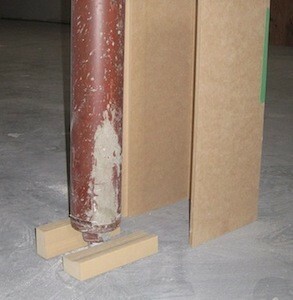 The outside shaft dimension is 6" square and the inside is 5" with the panels being 1/2" thick, MDF, un-primed. 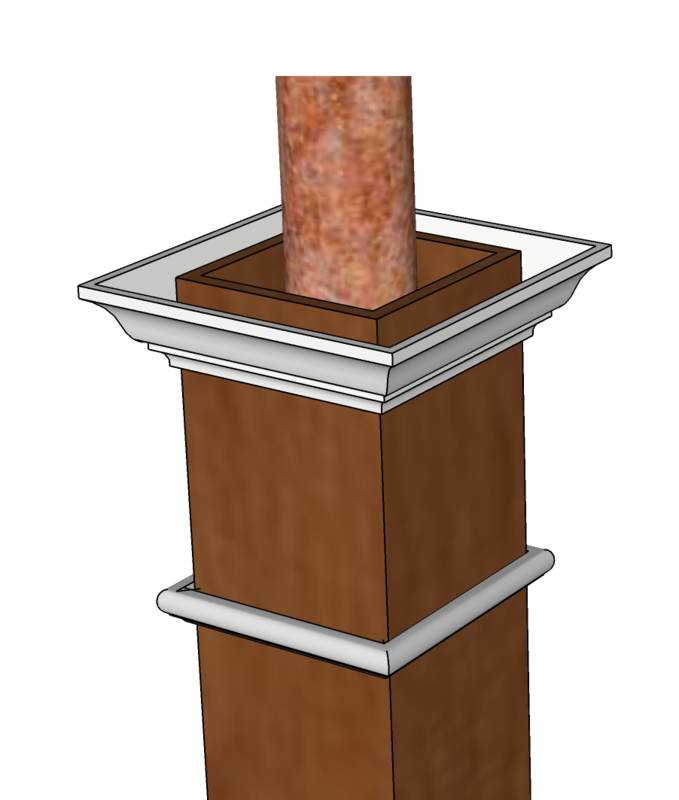 With the crown, the top of the column measures 9". The baseboard adds 1" thickness of the shaft making the footprint 7". 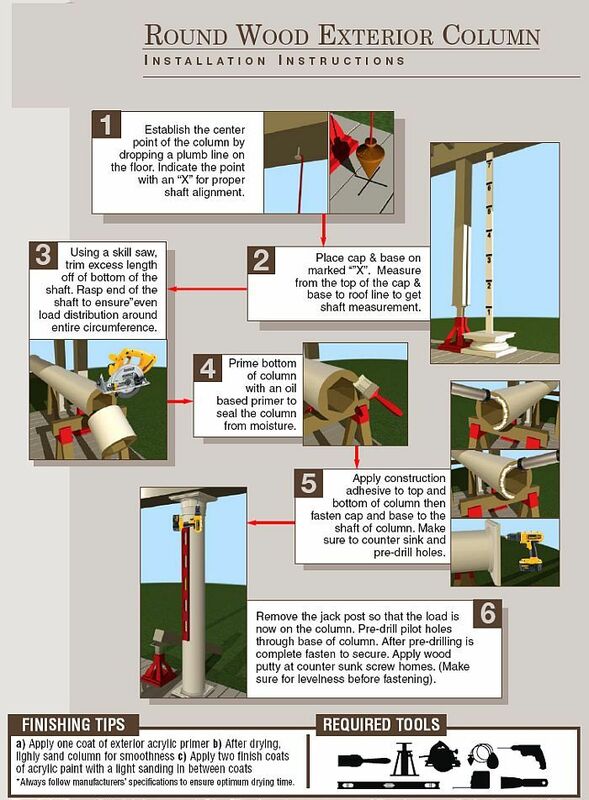 The shaft length can easily be cut down to size on site. 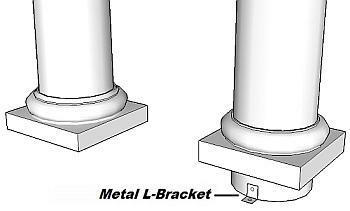 The pre-cut trims included are: 1 1/8" banding; 2 1/2" crown; and 1/2" thick x 5 1/4" baseboard. 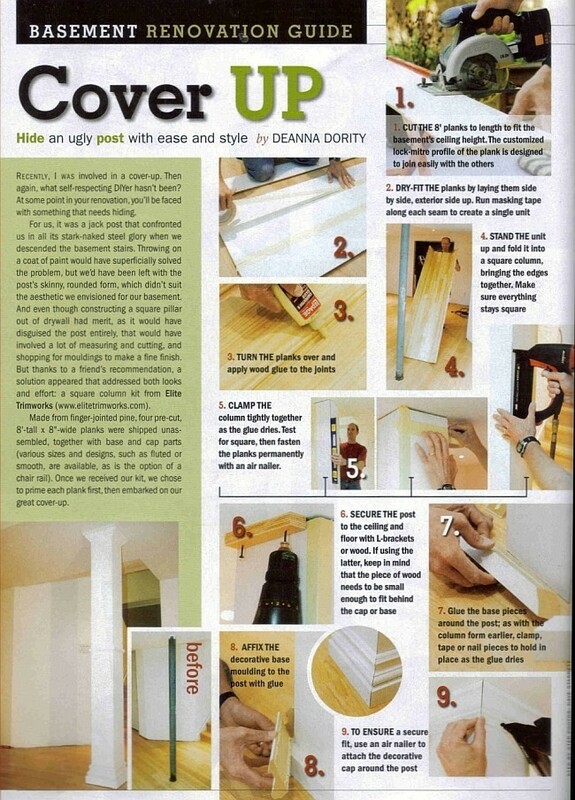 You may add your own shoe mould or your own baseboard if you choose to. Great product. Very well made and easy to put together. Came with everything needed including masking tape and glue. Shipping was fast, got item via UPS in less than a week. Very pleased. I would gladly order from them again without hesitation.